So which trusted construction material do you think this is? Despite all appearances this isn’t wood. It is in fact concrete. 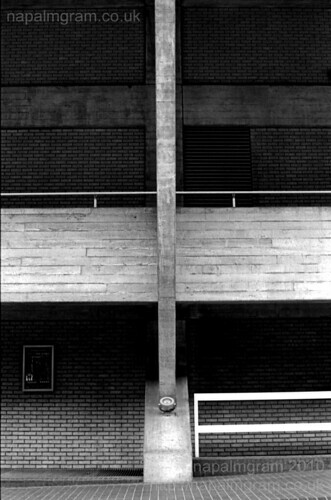 To be exact it’s concrete somewhere on the Royal Festival hall. 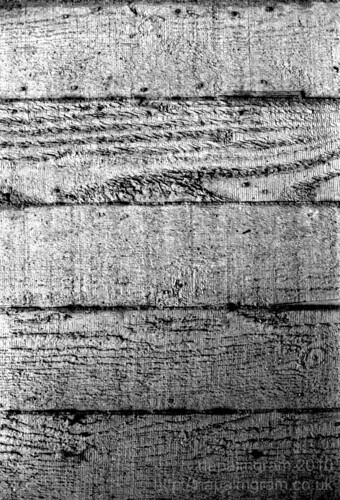 Looks like someone decided the concrete montser would look better if they tried to make it look like wood. So, it looks like they decided to use it quite liberally over the whole building. This weekend sees a jaunt up to Infest to take some band photos, it’s been a while so hopefully I can remember which end to point at the stage. Debating whether to take the film camera as well. And then there’s always the change of getting some reportage shots as there’ll be fuckwits protesting as well in the city centre.